This month marks nine years of Grand Strategy: The View from Oregon. I started regularly posting in November 2008. Since then I have continuously maintained this blog, though my rate of posting has declined, especially over the past couple of years. My reduced rate of posting here is not due to my running out of ideas. On the contrary, I have more material than I can even write down. My posts have become more detailed and in-depth, which requires more research and more care in composition. This also means that I hesitate to post my more half-baked ideas. When I look back on some of my early posts I find things that I would never write today: it is no longer enough for me to suggest an idea; I want to develop the ideas that I present. Already sensing my hesitation to post half-baked ideas some years ago, and knowing that the key to working out ideas is to maintain a continuous engagement with them (which is best done by writing about them every day), I started a blog on Tumblr, Grand Strategy Annex, where I post more spontaneously, just so that I can keep the ideas flowing without monitoring each word so closely that scholarly conscience prevents one from writing anything at all. I’m glad that I did this, even though it divides my efforts, because I often capture an idea in a quick Tumblr post fist, and later incorporate this in a longer post here, or on Medium, or on Centauri Dreams. In addition to these online writings (and three Twitter accounts), I also keep numerous notebooks in which I write in longhand, and I work on dozens of different manuscripts on my computer. All this material, if collected together, would run to many thousands of pages. And over the past year or so I have discovered that I can accelerate my formulation of ideas even more by always carrying a digital recorder with me. I spend a lot of time each day driving around and running errands, and now I use that time listening to the ideas that I have recorded on previous days and then elaborating on them in further recordings. That means that I also have hundreds of spoken word notes that have not been transcribed. So, as I said above, I haven’t run out of ideas. My approach to philosophy is what in the early modern period was called copia. (Erasmus wrote a short book On Copia of Words and Ideas.) I prioritize the generation of new ideas. I can imagine that, to someone who pursues the other strategy — that of confining oneself to a small number of ideas and spending a lifetime elaborating these in the most detailed and comprehensive manner possible — this sounds like a rather trivial way to think about things. However, I would suggest that one is statistically more likely to hit upon a significant idea by surveying many of them rather than focusing on a familiar few. A blog is a good way to present the results of a copia strategy in philosophy, but I sometimes have misgivings about the time I put into writing blog posts. I could instead use this time to refine a manuscript. I worry that spending another ten years of writing blog posts may mean that I never produce anything more substantial. But I have already tried the book strategy. More than ten years ago I produced a couple of books that I self-published (Political Economy of Globalization and Variations on the Theme of Life). I thought (naïvely, as it turns out) that these two books would develop a readership over time, if only I could be patient. This has not happened. I changed my strategy and started writing blog posts instead of books as a compromise. While my blog readership is very small, at least these posts do occasionally get read, and when I post to Paul Gilster’s Centauri Dreams I have gotten as many as a hundred thoughtful comments on a single post. That is real engagement, and worth the effort to know that others have read carefully and have responded thoughtfully. Part of my strategy of writing blog posts, then, follows from my native temperament; some of my strategy follows from my peculiar circumstances. Individuals in an academic or scholarly community, I assume, have others with whom they can have informal conversations in which they can float ideas that are not yet ready for systematic exposition. It is necessary to have a sympathetic ear for this sort of thing, as any tender, young, and inchoate idea can easily be torn apart. What is important is to try to discern within an idea if it has potential. Since I do my work in isolation, I float my ideas here. And what I post here is but a small fragment of the ideas I am working on at any given moment. I won’t say that I have chosen the right strategy, and I certainly know that I haven’t chosen an optimal strategy, but I have chosen a strategy that is consonant with my own temperament. This consonance plays a role in the development of my ideas. Because I am doing what comes naturally to me, without any extrinsic prompting from any source outside myself, this is something that I can continue to do as long as I have life in me. It does not get old to me; the salt does not lose its savor. 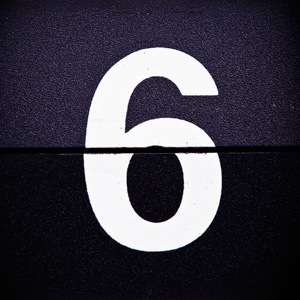 Last month, November 2016, marked the eight year anniversary for this blog. My first post, Opening Reflection, was dated 05 November 2008. Since then I have continued to post, although less frequently of late. I have become much less interested in tossing off a post about current events, and more interested in more comprehensive and detailed analyses, though blog posts are rarely associated with comprehensivity or detail. But that’s how I roll. It is interesting that we have two distinct and even antithetical metaphors to identify non-trivial modes of thought. I am thinking of “dig deep” or “drill down” on the one hand, and, on the other hand, “overview” or “big picture.” The two metaphors are not identical, but each implies a particular approach to non-triviality, with the former implying an immersion in a fine-grained account of anything, while the latter implies taking anything in its widest signification. Ideally, one would like to be both detailed and comprehensive at the same time — formulating an account of anything that is, at once, both fine-grained and which takes the object of one’s thought in its widest signification. In most cases, this is not possible. Or, rather, we find this kind of scholarship only in the most massive works, like Gibbon’s Decline and Fall of the Roman Empire, or Mario Bunge’s Treatise on Basic Philosophy. Over the past hundred years or so, scholarship has been going in exactly the opposite direction. Scholars focus on a particular area of thought, and then produce papers, each one of which focuses even more narrowly on one carefully defined and delimited topic within a particular area of thought. There is, thus, a great deal of very detailed scholarship, and less comprehensive scholarship. Previously in Is it possible to specialize in the big picture? I considered whether it is even possible to have a scholarly discipline that focuses on the big picture. This question is posed in light of the implied dichotomy above: comprehensivity usually comes at the cost of detail, and detail usually comes at the cost of comprehensivity. Another formulation of this dichotomy that brings out other aspects of the dilemma would to ask if it is possible to be rigorous about the big picture, or whether it is possible to be give a detailed account of the big picture — a fine-grained overview, as it were? I guess this is one way to formulate my ideal: a fine-grained overview — thinking rigorously about the big picture. While there is some satisfaction in being able to give a concise formulation of my intellectual ideal — a fine-grained overview — I cannot yet say if this is possible, or if the ambition is chimerical. And if the ambition for a fine-grained overview is chimerical, is it chimerical because finite and flawed human beings cannot rise to this level of cognitive achievement, or is it chimerical because it is an ontological impossibility? While an overview may necessarily lack the detail of a close and careful account of anything, so that the two — overview and detail — are opposite ends of a continuum, implying the ontological impossibility of their union, I do know, on the other hand, that clear and rigorous thinking is always possible, even if it lacks detail. Clarity and rigor — or, if one prefers the canonical Cartesian formulation, clear and distinct ideas — is a function of disciplined thinking, and one can think in a disciplined way about a comprehensive overview. If one allows that a fine-grained overview can be finely grained in virtue of the fine-grained conceptual infrastructure that one employs in the exposition of that overview, then, certainly, comprehensive detail is possible in this respect (even if in no other). I could, then, re-state my ambition as formulated in my opening reflection such that, “my intention in this forum to view geopolitics through the prism of ideas,” now becomes my intention to formulate a fine-grained overview of geopolitics through the prism of ideas. But, obviously, I now seldom post on geopolitics, and am out to bag bigger game. This is, I think, implicit in the remit of a comprehensive overview of geopolitics. F. H. Bradley famously said, “Short of the Absolute God cannot stop, and, having reached that goal, He is lost, and religion with Him.” We might similarly say, short of big history geopolitics cannot stop, and, having reached that goal, it is lost, and political economy with it. It is now fifteen years since the coordinated terror attacks of 11 September 2001 on the US — specifically, on New York City and Washington, DC — and while the wars in Afghanistan and Iraq that were the immediate consequence of these attacks are now receding into history like 9/11 itself, we continue to live with the legacy of the altered geopolitical conditions of that day. The ongoing turmoil in Syria, which began as an uprising against Assad and developed into a civil war, is one of the geopolitical consequences of 9/11. It is unlikely that the uprising against Assad would have occurred without the Arab Spring, and it is unlikely the Arab Spring would have occurred if the US had not toppled Saddam Hussein from power. I am not suggesting a direct chain of causality here — many other events were implicated as well — but only that one set of events is the background to another set of events, and 9/11 was the pivotal geopolitical event of the beginning of the 21st century. As such, the post-Cold War order grows out of the series of events set in motion by 9/11 (counting the last decade of the 20th century as a “buffer” between the Cold War and the War on Terror). The sluggish recovery of growth following the subprime mortgage crisis and the Great Recession is probably a function of the ongoing geopolitical turmoil, and in this way we can also see that the populist reaction against globalization is also an indirect consequence of 9/11. When the “wealth effect” is contributing to a perception of a rising tide that raises all boats, there is little resentment against those at the top of the income pyramid, but when times are tough the wealth effect dissipates into thin air, and in the clarity of this thin air those who have not done well for themselves cast envious eyes on those who are living well despite tough times. It would not be difficult to construct a counterfactual world in which 9/11 never happened, “irrational exuberance” continued apace (Keynes called this “animal spirits”), and the world was several percentage points per year wealthier than we are now from steadily growing global trade. We might compare ourselves to this world — not unlike the world of the late 19th and early 20th century, before the spell was broken by the First World War — as a kind of ongoing measure of what might have been. Bertrand Russell wrote that no one could understand the assumptions of progress of the late Victorian, and then the Edwardian period, and how World War I ended all this, who was not there to experience it. But we have our own analogy, imperfect as it is. We remember the talk of what the post-Cold War world would be like, and how this dream evaporated with the attacks of 9/11. In one day, a world bright with promise for the 21st century simply vanished. 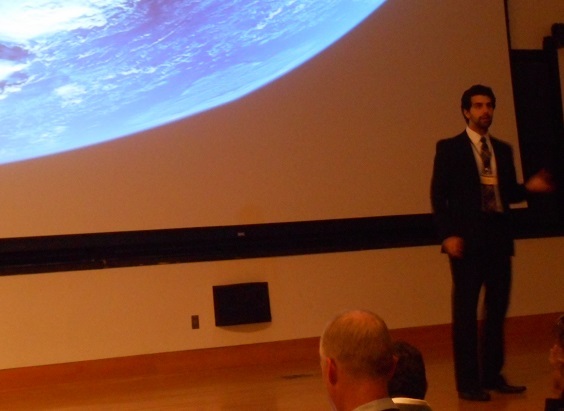 The events of Starship Congress 2015 at Drexel University in Philadelphia have now wrapped up. September 4th and 5th were busy days full of attending sessions and interactions with other participants. After the first day of events I gave a partial rundown on events on Paul Carr’s The Unseen Podcast in Episode 22: Report from Starship Congress. I have not yet had time write up my experiences of the congress in detail. I also did not have time to take in any of the historic sights of the city, though the weather in Philadelphia has been quite nice. Andreas Tziolas holds forth on his vision for a starflight academy and asymmetrical education. 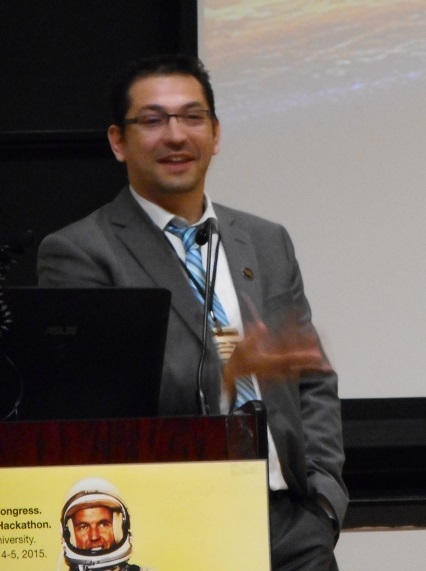 The organizers of Starship Congress — primarily Andreas Tziolas and Mike Mongo of Icarus Interstellar, but of course many others contributed to the effort — had chosen Drexel University as the venue for Starship Congress 2015 because the university hosts an active student chapter of Icarus Interstellar. The organizers emphasized that they hoped to build on the student participation in the previous Starship Congress in 2013 (cf. Day 2, Day 3, and Day 4), and this proved to be a wise decision. Student engagement was impressive. The students not only brought energy and enthusiasm, they also showcased considerable ingenuity and hard work in their presentations of their projects. 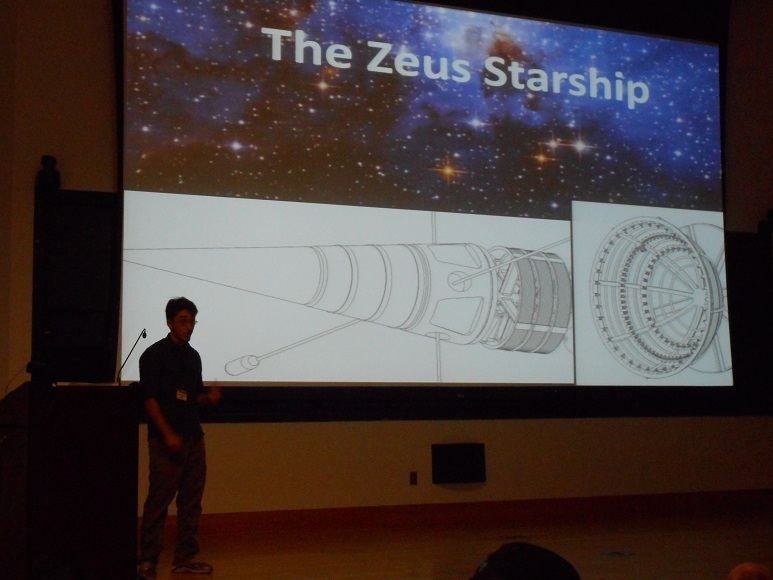 David Evinshteyn of the local Drexel chapter of Icarus Interstellar gives a presentation of their Zeus starship. On the afternoon of the second day of the event I gave my presentation, “What kind of civilizations build starships?” (Most of the conference was streamed live on Youtube, and you can watch the entirety of my presentation there.) The organizers had generously allowed me 45 minutes to speak, so I had time to develop some points in detail. Over the past few years, and in other presentations, I have emphasized that we have no science of civilization. I took this point further in this presentation in attempting to show how discussion of civilization to date has been in terms of folk concepts, and suggested ways in which the study of civilization might be developed employing fully scientific concepts. I drew on the work of Carnap and Hempel, so I was employing what might be characterized as a rather conservative philosophy of science, going back to the logical empiricism of the mid-twentieth century. This approach to the science of civilization might well be pursued with more recent resources in the philosophy of science, but I strongly feel the need to try to start with a blank slate, as it were, and to re-think civilization from the ground up from the perspective of systematically articulating concepts of civilization that can transform the study of civilization into a rigorous science. 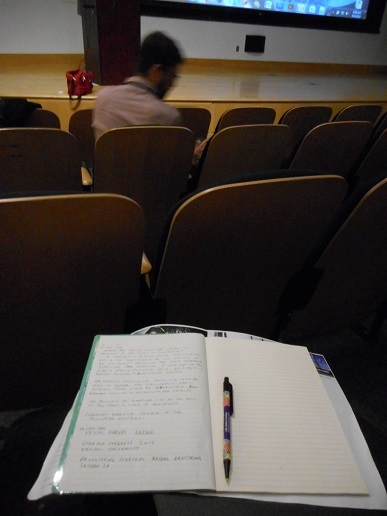 Taking notes at Starship Congress 2015. Because of my preparations for my presentation and the congress I have not been posting much here. I hope to write more on Starship Congress 2015, and some of the ideas I encountered will eventually find themselves into further posts. 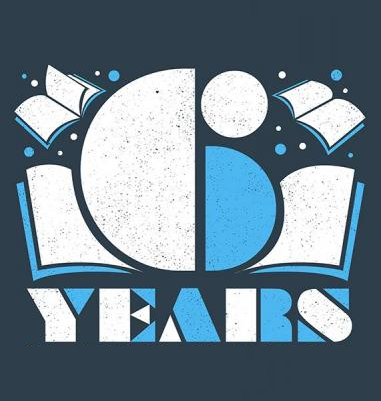 Six Years of Grand Strategy! It is always a pleasure to mark another anniversary of Grand Strategy: The View of Oregon. While I remain a thoroughly marginal figure with very few readers, my efforts have not been entirely in vain. After all, you’re reading this. ● Grand Strategy Celebrates One Year! ● Grand Strategy Celebrates Two Years! ● Grand Strategy Celebrates Three Years! That I have continued my efforts is a reflection of intrinsic interest; many blogs are started, and most fizzle, whether or not the writers gain an audience. Given that 95 percent of blogs are abandoned, that fewer men than women blog, that most blogs are written by individuals in their 20s, I am something of a statistical anomaly by dint of pure perseverance. I continue to produce posts, albeit at a slower rate than before, and because I still have plenty of ideas I don’t see myself running out of things to say any time soon. I don’t blog because I expect a book deal to come out of my efforts, or because I expect to have a million hits a day, or because I think I’m going to be interviewed on television or by the New York Times (though, honestly, I would prefer the Financial Times). On the contrary, blogging is much more likely to bring ridicule than fame and fortune, as others express consternation as to why one bothers at all. It is interesting to compare the nay-sayers at opposite ends of the spectrum. There are the working class nay-sayers who can’t understand why someone with a full time job would use their spare time to write a blog rather than to enjoy the short space of leisure to which their employment entitles them between the end of the work day and the onset of sleep. On the other hand, there are the privileged nay-sayers, those who have already come into a position of influence, fame, or money, who cannot understand why those on the bottom continue to struggle for some recognition when — obviously — they are doomed to eternal anonymity. Nay-sayers aside, it is with a certain Schadenfreude that marginal individuals like myself can look upon the near catastrophic failure in the publishing industry today, even if the mainstream media continues to dominate public opinion on the internet now instead of through print. Those who assumed that the publishing industry would go on as it has always gone on have been forced to face hard truths about newspapers and magazines in a digital age. Media outlets that can come to be social institutions have had to change their way of doing business, and, as I have remarked elsewhere, no one should cry for the papers. I write not to fill column inches or to sell soap, but because I have something to say. I earn nothing from my efforts, but I would be writing this material anyway, without regard to readers or remuneration, so by putting this material that I would have written anyway on a blog, a few people read it who would not otherwise have read it. A few ideas are shared. A sincere “thank you” to the handful of readers who have returned, and for whom I now write. There is more to come. 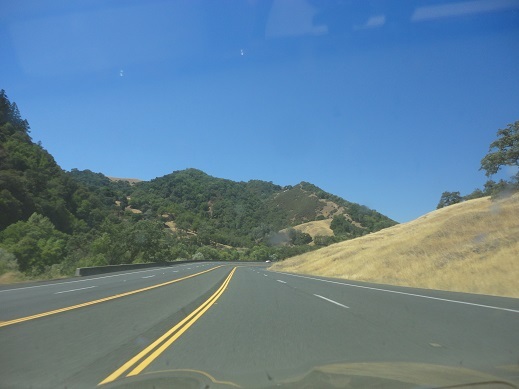 The open road: heading north on 101. When I travel for travel’s sake I never get homesick and I never have any desire to return. When I am eventually forced to return, I feel as though the life that ought to be mine has been rudely and abruptly torn from my grasp. I have had a very different experience, however, with the conferences I have attended over the past four years — 2011 100YSS, 2012 100YSS, 2013 Icarus Interstellar Starship Congress, and now the 2014 IBHA Conference — following which I have had no desire to stay any longer and am very ready to come home. I haven’t even had the desire to extend my stay and turn it into a kind of vacation; I was simply ready to leave, and that is a new experience for me. 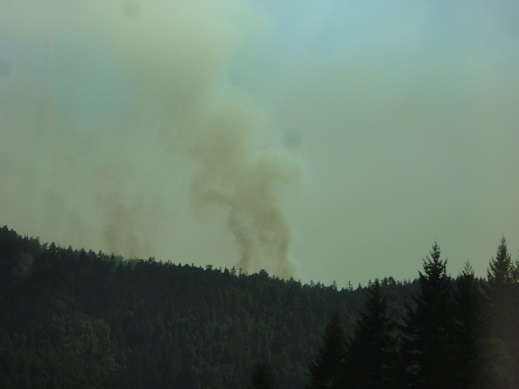 There was a forest fire north of Willits, with fire crews and helicopters actively battling the blaze. Coming home in this case means driving back to Oregon, since I drove to San Rafael for the conference. It would have been shorter and quicker for me to head to I-5, but I chose to head north to 101, which is a more scenic drive. Like walking and horseback riding, driving can be a meditative activity — at least, before it has gone on too long and one feels sore after many hours of sitting in the same position. And just as one may choose to meditation in a scenic location, I prefer the meditative activity of driving in beautiful surroundings. 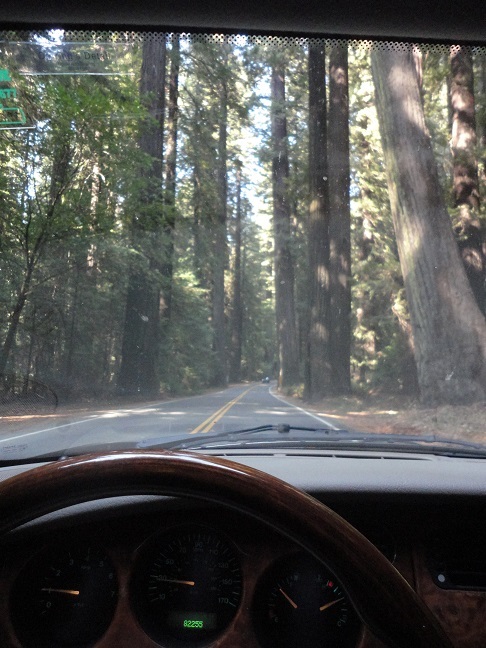 Driving through the Avenue of the Giants. And I had a lot to think about in the wake of the conference; now I had many hours on the drive back to Portland during which to think about the presentations I had attended. I had by digital recorder on the seat next to me, and whenever I had an idea I dictated it so I wouldn’t lose it. I not only learned a lot from the conference, but I learned something from the contrast of this IBHA conference with the other conferences I have attended. That was unexpected, as it hadn’t occurred to me that I might learn anything in comparing and contrasting the kinds of presentations given at different kinds of conferences. In any case, I am working on a lot of ideas that the conference has given me, and I hope to turn many of these ideas into big history-related blog posts in the near future. 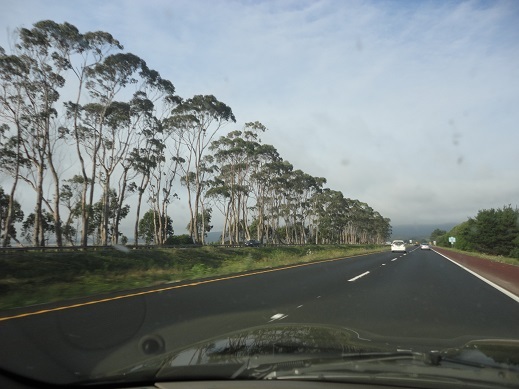 Scenic Humboldt County, where my maternal grandmother spent some years of her childhood. 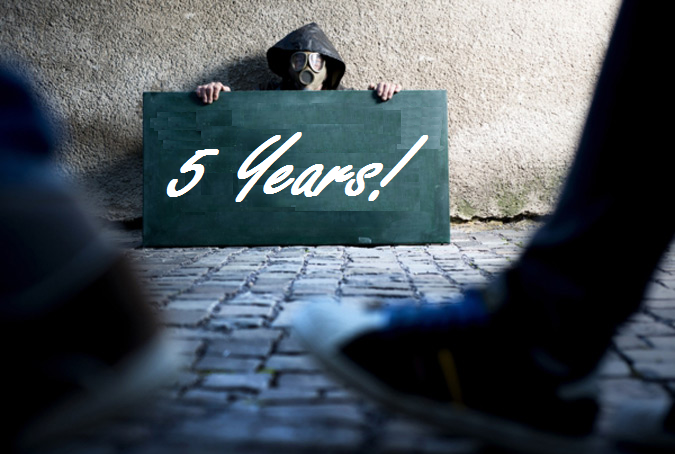 Today I celebrate the fifth anniversary of this blog. I hope you will join me in toasting the end of another year and the beginning of a new year of blogging and ideas. When I started this blog it was something of a spontaneous amusement, an impulse. My posts were short, simple and required little or no research. I purposefully wrote about matters that interest me while avoiding the “important” ideas I kept in my notebooks for book projects, which I saw at that time the primary beneficiaries of my intellectual effort. Over time, the blog posts expanded, became longer and more detailed, and required more research. I still save aside material I plan to put into manuscripts, but the topics with which I began — mostly strategy and civilization — now have a much higher profile in my thought and are at least equal beneficiaries of my intellectual effort. In retrospect, I’m glad that I started to write about civilization here, as these thoughts have expanded over time and have pushed me unexpectedly in interesting directions. With my posts getting longer, I have been posting far less often — once or twice a week. I’ve also been blogging at Tumblr, which has a very different demographic (meaning that I reach a different crowd there than I do by blogging here on WordPress). 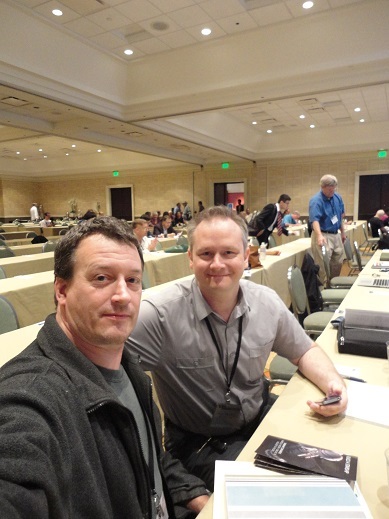 Also, in the past year I’ve had posts appear on the Transhumanity blog and on Paul Gilster’s Centauri Dreams blog (where, by the way, another post by me is scheduled to appear this coming Friday). Over the past year the hits to my blog took a major hit, and I have gone from an average of nearly two thousand hits per day to an average of around four hundred or fewer per day. Interestingly, most of the lost traffic seems to have been image searches, so the few of you who come here to read and to reflect is perhaps about the same number as in earlier years. I guess you could say that I write for my handful of subscribers — those few who return to read, spending precious and irretrievable moments of life to find something in what I have spent precious and irretrievable moments of life to write. That is a fair bargain — a part of my life for a part of your life — and as there are few fair bargains in the world today, I should count myself fortunate (which I do). Nietzsche could perhaps speak in the plural; I must speak in the singular. I may not have readers (in the plural) in these celebrated cultural capitals of the world, but I do know from my statistics (which show repeat visits) that I have a reader in Invercargill, Southland, New Zealand, and in Mercer Island, Washington; in Washington D.C. at the Catholic University of America, and a reader in Groningen in the Netherlands; I have a reader in that ancient center of Western civilization, Greece, and in the ancient centers of learning in Paris, France, and Oxford, England; I have a reader in the Balkans, in Belgrade, Serbia, and elsewhere in the Balkans in Skopje, Macedonia; I even have a reader in Hillsboro, Oregon, just minutes away from my office, as well as a reader elsewhere in the Pacific Northwest, in Vancouver, British Columbia. To all of you — those who return, and those who stop by only a single time — my thanks. Day 3 of the Icarus Interstellar Starship Congress began with Harold “Sonny” White discussing recent attempts to scientifically test the ideas behind the Alcubierre drive, which would be a form of spacecraft mobility (one can’t quite call it propulsion) that would have the effect of superluminal velocity. The proposed drive does not violate general relativity because space itself can expand or contract faster than the speed of light, even if no physical body can travel at the speed of light. The Alcubierre drive, and other concepts that have followed, involve distorting space around a spacecraft while the spacecraft itself, and its occupants, never exceed the speed of light. White also discussed Q-thrusters (quantum vacuum plasma thruster), which would thrust against quantum vacuum fluctuations. This would not yield the kind of science fiction-like travel of the Alcubierre drive, but it sounded closer to being in reach. On his last slide he showed a figure of 29.9 years to make it to Proxima Centauri with Q-thrusters, which require a lot of energy but don’t require fuel. With this in mind, I note that we can pretty readily (today) manufacture a nuclear reactor that can be fueled upon construction and run continuously for 30 years without refueling (as with the compact nuclear reactors on submarines and aircraft carriers). If we could build Q-thrusters, we could also supply them for long enough to get to the nearest star, and that is an impressive thought. Then came Lance Williams on the “Rise of the Scalar Field, and its Implications for Interstellar Travel.” Williams offered, “the promise of gravitational control,” and ended with the statement that, “Electromagnetic control of gravity is necessary for human control of gravity.” This was very much in the same spirit of the earlier lectures today which emphasized the human ability to engineer spacetime itself. And, certainly, if Alcubierre drives or artificial gravity become a reality we will have a world that is everything that science fiction authors have imagined, and more besides. In the question and answer session following Williams’ talk, in response to a question Williams emphasized that his use of a 5-manifold in his exposition (following Kaluza of Kaluza-Klein fame) was of a fifth macroscopic dimension, and he drew a clear distinction between the compactified dimensions of string theory and macroscopic dimensions in physical theory (which, I might add, warmed my heart). A string theorist in attendance had earlier assured him that string theory had all the dimensional resources his approach could need, but Williams ended by saying that physics had been “locked in” to string theory and QED gravitation for the past century, with the clear implication that this had gone on long enough. After this the Congress broke for lunch, but instead of eating I went back to my room for a nap. I overslept and returned only for the last few minutes of Rachel Armstrong’s presentation, which was a disappointment for me since I had recently written on my other blog about some of Armstrong’s ideas on urbanism. Ken Roy then presented “Shell Worlds: an Approach to Terraforming Small Rocky Worlds,” which proposed that smaller worlds (like about the size of Mars) could be completely contained within a structure holding in the atmosphere built somewhere between 2 and 20 kilometers up from the surface. This he contrasted to “traditional” terraforming, and he maintained that shell worlds had certain advantages, as, for example, the ability to construct “designer biospheres,” to have the same time zone all around a planet (since all lighting would have to be artificial, and so forth. Roy also mentioned “paraterraforming,” which term I had not previously heard, and said that it also involved a contained atmosphere, but he didn’t go into much detail on what exactly constitutes paraterraforming. Next was a joint presentation by a filmmaker and a social scientist, “Odyssey: Global Personality Test for Crewing a Generation-Starship,” which is both a social science project and a film project. Odyssey takes as its presupposition a generational starship and asks how a crew would be selected for this mission. Starship crew questions can be a lot like “lifeboat” exercises in asking who one would include and who one would leave to die, and this exercise in starship crewing certainly had this feel for me. The robust assumptions made by those who designed the project, and the forcefulness with which they asserted these assumptions — Are you prepared to leave everything and everyone you have ever known forever? — were a good splash of cold water for those contemplating generational starships. I think that they must have chosen quite intentionally to tightly constrain the exercise in order to inject some sense of discipline into this question, often raised among interstellar advocates. For me personally, this presentation of a generational starship in which the individual is systematically subordinated to the good of the mission was a kind of dystopian vision of regulation that constitutes the antithesis of the vision of freedom through space travel that attracts me. There were a couple presentations on SETI efforts, Thomas Hair on “Radio Transients and Base Rate Bias: Bayesian Argument for Conservatism” and Al Jackson on “Extreme SETI.” Hair proposed “the long stare” as a thought experiment in SETI, and gave a Bayesian analysis of the kind of data that would be collected from a concentrated SETI focus on a small part of the sky (think of it something like the Hubble Ultra Deep Field, but for SETI instead of observational astronomy). Hair also suggested that SETI was shifting to a search for “ephemeral leakage,” by which I believe he meant picking up unintended signals from alien civilizations — like what an alien civilization might hear from us at a distance of many lightyears. Al Jackson was difficult to hear, as his speaking voice wasn’t very loud, but he focused on SETI efforts to find mega-engineering projects of highly advanced civilizations, such as detecting starships, gravitational machines, and “surfing” black holes. The final presentation for this session was Giorgio Gaviraghi, “Code of Ethics for Alien Encounters.” Gaviraghi’s talk yesterday was the most far-reaching and speculative, and he once again put himself out on a limb with a series of hypothetical inmperatives contingent upon the level of development achieved by civilizations potentially in contact. If I had had the chance to ask a question I would have asked if these various hypothetical imperatives could be traced back to any one categorical imperative that was the motivation for the code of ethics he proposed. I had a chance later to speak very briefly to Gaviraghi, but didn’t have enough time to raise this question. Another panel discussion, like yesterday’s, considered another three questions. This wasn’t as interesting to me as yesterday’s discussion, but in the final question on extraterrestrial contact Kelvin Long said, “ideas can do as much damage as war,” which was a good comment, and Gaviraghi (who replaced Armen Papazian) made a statement that I particularly liked. I didn’t take down his words verbatim, and I may have misunderstood his intent, but what it sounded like to me was that what we can learn about civilization as a result of extraterrestrial contact may tell us something about our own civilization. If this is what Gaviraghi meant, I enthusiastically agree, and it shows another parallelism between biology and civilization, because exactly the same thing is true in biology. As Carl Sagan noted, a single instance of extraterrestrial life would de-provincialize biology. After the Congress broke for dinner for a couple of hours we assembled again and heard Peter Garretson speak on “Space – A Billion Year Plan for Life, Liberty, and the Pursuit of Happiness.” I agreed with pretty nearly everything that was said here, and I really wanted to ask a question, but there was no question and answer period following his talk. Garretson gave a presentation very indebted tot he vision of Gerard K. O’Neill, involving solar power satellites and O’Neill colonies, and this was much appreciated, as he rightly noted that any space capacity you could want to have would be in place by the time you had built a system of solar power satellites. After the Congress was over for the day I realized that I often learned more from the question and answer sessions than from the presentations, and it occurred to me that a lot of this material might be better suited to a seminar format rather than a lecture format. A lecture format could be modified to accommodate more questions and answers, but not all talks generate the same level of interest. I think if I were to organize a congress of some sort I might consider making a rule that all presentations had to be made extemporaneously in order to keep them spontaneous, and encourage the audience to raise their hands with a question in the midst of a lecture to keep the exchange going throughout. Slides could be limited to images, graphics, or charts only (in order to generate discussion without being read), and speakers could be asked to finish with a one-sentence “take away” message, perhaps purposefully provocative, once again, to generate discussion.